Review by AllTheBestFights.com: 2015-06-19, pretty good fight between Kimbo Slice and Ken Shamrock: it gets three stars. The former street fighter Kevin Ferguson, best known asKimbo Slice entered this fight with a professional mma record of 4-2-0 (75% finishing rate) but he is not ranked as he hasn’t fought since May 8, 2010 when he was defeated by Matt Mitrione. Since then he has fought seven times as pro boxer winning all his bouts and beating Shane Tilyard in his last one (=Kimbo Slice vs Tilyard). His opponent, the 51-year-old (10 years older than Kimbo) and former Ufc champion Ken Shamrock, has an official record of 28-15-2 (89% finishing rate) and he is not ranked as well because he hasn’t fought since November 25, 2010 when he was defeated by Mike Bourke. 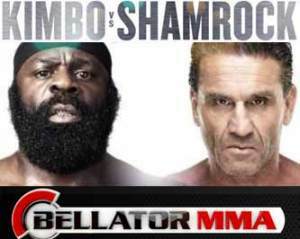 Kimbo vs Shamrock is the main event of Bellator 138. Watch the video and rate this fight!